Rebecca worked in Turkey during March, attending the 27th Creative Drama Congress in the historic city of Bursa. Her workshops looked at how to tell stories from industrial heritage, and took place in the Energy Museum surrounded by boilers, generators and pipework – along with some interesting mannequins. The participants joined in everything with great enthusiasm, and Rebecca’s interpreter Seyma did a wonderful job of translating everything from ‘marble run’ to ‘crude oil’. 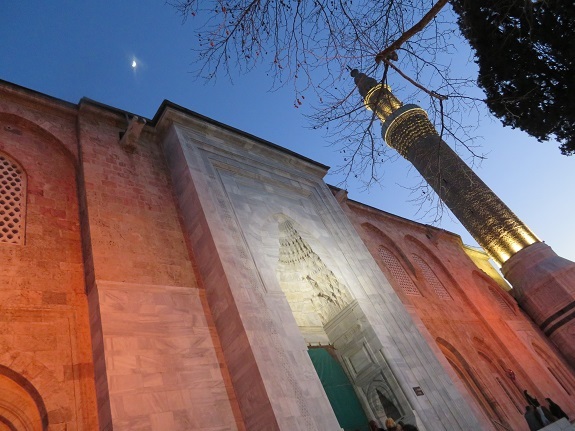 There was also time to explore Bursa’s sights including the Mosque and silk market.